I received REMEMBER MY BEAUTIES for review. I was expecting a good sized horse-centered novel with family drama, but what I got was a lot of extremely dysfunctional family drama with a very understated inclusion of horses. Jewel is the second born child to her parents, Hack and Louetta, who live on a once decent breeding farm in the heart of prime Kentucky horse country. Both of Jewel’s parents are disabled and can no longer take care of themselves let alone the four remaining horses they own. So, Jewel works full-time while taking care of her own family, which includes her drug-addict daughter, her second husband with a daughter who has issues of her own and is about to get custody of his 12-year-old son as well; and then Jewel also runs to her parents’ farm twice a day to take care of them and their horses. One day Jewel’s mother tells her that her drug-addict/alcoholic brother, Cal, is coming to live with them. Jewel wants nothing to do with him—for what we learn is very good reason. She also has a younger sister who is also like him and doesn’t help out. With her brother back in the picture, Jewel decides she can no longer continue helping her parents, particularly once she finds her brother continuing his old ways and compromising the well being of Jewel’s own troubled daughter. The only thing Jewel can concentrate on is getting her daughter into rehab and cleaned up. However, she does truly miss the horses, a love she shares with her father. The story goes on for a few months with Jewel staying away from her parents’ home while many things go on behind her back, involving her husband, daughter and brother. However, when tragedy strikes, the deeply rooted family dysfunction suddenly gets better, which some may find feels a bit hollow and forced. 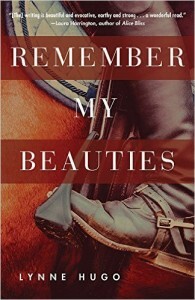 While I did sense a love and passion for horses at times (one briefly shares his POV in the story), and enjoyed the lyrical prose, some readers may find the narrative very contrived. The painful, dysfunctional themes of sexual abuse and drug addiction in Jewel’s family can feel shallow, needing to be explored in greater dimension than is likely possible in under 200 pages. 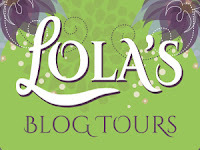 I would recommend this story to readers who enjoy reading about extreme and disturbing family dysfunction. Unfortunately, passionate horse-lovers may well be disappointed. Lynne is a National Endowment for the Arts Fellowship recipient who has also received grants from the Ohio Arts Council and the Kentucky Foundation for Women. 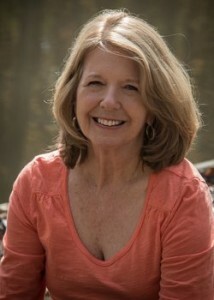 Her memoir, Where The Trail Grows Faint, won the Riverteeth Literary Nonfiction Book Prize and her novel, A Matter of Mercy, received the 2015 Independent Publishers Silver Medal for Best North-East Fiction. She has published seven novels, one of which became a Lifetime Original Movie of the Month. Through the Ohio Arts Council’s renowned Arts in Education program, Lynne has taught creative writing to hundreds of schoolchildren. Born and educated in New England, Lynne and her husband live in Ohio with a yellow Lab feared by squirrels in a three state area. 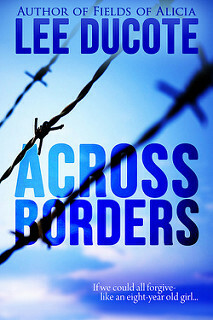 ★ Blog Tour ★ ACROSS BORDERS by Lee DuCote — Guest Post + $25 Amazon Giveaway! 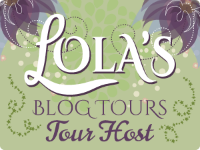 We're happy to share ACROSS BORDERS by Lee DuCote, a standalone romantic suspense touring with Lola's Blog Tours! Well, I am a husband and father. We always have a house full of teens and college students, mostly Young Life kids. I love the outdoors, hiking, kayaking, stand up paddling, fishing, you know "man stuff" but I'm a sucker for chick flicks. I wrote Fields of Alicia, Waterproof, Across Borders, and the series Micah and have several other novels finished and in the making. 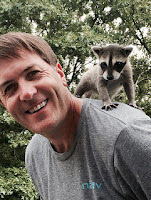 And, yes, I am a raccoon lover, check out Tucker on my social media.